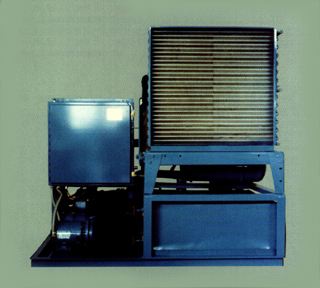 Three horsepower, air cooled, ethylene glycol chiller used on an air sensor test stand. Application: remove 20,000 BTU/H from glycol and hold it at 20 degree F, plus or minus 1 degree. Reservoir and circulating pumps were included.